Some famous guitarists on BB sessions.. The Smiley Smile Message Board | Smiley Smile Stuff | General On Topic Discussions | Some famous guitarists on BB sessions.. It is interesting that Carl, who was present, chose to use them-rather than himself. Re: Some famous guitarists on BB sessions..
Brian also used James Burton for "Cabinessence". 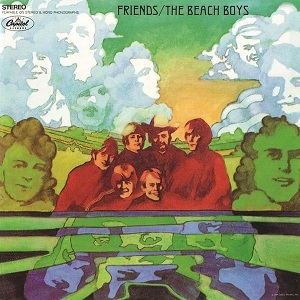 Speaking of famous people on Beach Boys sessions...Tom Scott (not famous yet, but famous eventually) played on some Beach Boys songs like "Transendental Meditation" (as one of about 10 saxophone players on that session). Oh, and James Burton is also on "Celebrate The News", along with Carl. One reason Burton may have been used on Celebrate the News and San Miguel in particular...might be that he was a friend of Gregg Jakobson's and Gregg booked some of those DW sessions as well as co-writing those two songs. Gregg was a regularly cast "teen extra" on TV's Ozzie and Harriet Show, and knew Rick Nelson and by association James Burton who was Ricky's guitarist. I'll have to ask Gregg about this, but it seems likely to me. Interesting observation, Jon. That would be a worthwhile question to ask. Burton seems to have played Dobro on Cabinessence, which is cool. Carl, like the other Wilsons, had the gift of seemingly lacking the ego that a lot of musicians have. Go into any guitar center and you'll hear a bunch of guitar players there to show off, more than shop. Compare chops. But Brian, Carl, and Dennis, and Al too, they all were totally aware of their abilities as instrumentalists, and if they were working on a song that would be better served with a different player, they had no problems putting the ego aside and letting the pros do what they do. Even though Carl was a great player, I mean, it's not like he stank. He just knew what his vocabulary was and knew when that needed to be transcended. But then, Carl could play every instrument on a track if he needed to. Long Promised Road and Feel Flows...the guy did just about everything on those. Those Wilson guys would be great to be in a band with, musically speaking. Well, Burton is one of the best guitarists in the business to this day, so I can understand that they used him. I believe he is also on "At my window" iirc. Another famous guitarist on a Beach Boys-song is Billy Lee Riley on "Help me Ronda", though he played harmonica on that. In rockabilly-world Billy is a legend. And he really is a great overall musician. His band was a very important ingredient to the sound of Sun Records. Don't forget Gary Moore on, er, 'Maybe I don't know'! He lives in the town I live in and I often see him wandering around, believe it or not he has (physically) a really big head!! Gary "Still got the blues for you" Moore is one great guitar player.. Love his tone..!!! I remember an interview with Lowell George where he said he had done a Beach Boys session in about 1972. I used to assume this was Steamboat but I know that isn't the case. Red Rhodes would make sense as he was a brilliant pedal steel player, Carl couldn't have played those parts. Joe Walsh is very prominently featured on "Keepin' The Summer Alive". Tony Martin played the steel part on "Marcella" and "Steamboat". Lowell George lived in a house with Van Dyke Parks and Ricky Fataar in about 1974, where Dennis was a frequent guest, so he probably did do some recording with one or more of the Boys around then. ...possibly on the legendary "Miller Drive". there's a version of "We're Together Again" with pedal steel and dobro, which was most likely Red Rhodes and James Burton respectively. Buddy Emmons is probably the world's greatest pedal steel player, and he claims to have done a Beach Boys session or two... but doesn't remember what song/album it was. Anyone have any idea??? It would have been in the late 60s or early 70s when he was living out in L.A. Yes, James Burton and Orville "Red" Rhodes both appear on one of the AFM contracts for "We're Together Again". Burton is credited with guitar & dobro on that one. Buddy Emmons was one of the steel players on sessions for the Brian-produced Fred Vail country album (sadly, it remains unreleased). Red Rhodes and J.D. Maness were the others.